Laura Harsche, of Bethel, graduates from Sacred Heart University in Fairfield, Conn. on Sunday, May 13, 2012. The 46th annual undergraduate commencement ceremony took place Sunday at Sacred Heart University. The Fairfield school's took place outdoors on the sunny campus field, with 846 undergraduate degrees scheduled to be awarded. 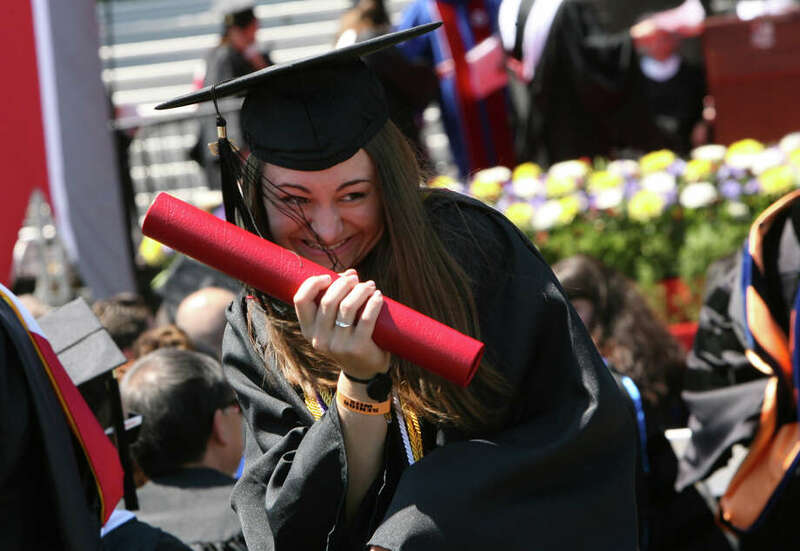 On Saturday, SHU awarded 744 graduate degrees in a separate ceremony. The main speaker at the undergraduate commencement was Carl Anderson, supreme knight of the Knights of Columbus. Annie M. Rouquie, the senior class president, offered congratulations. Here is a photo gallery of Sunday's event.